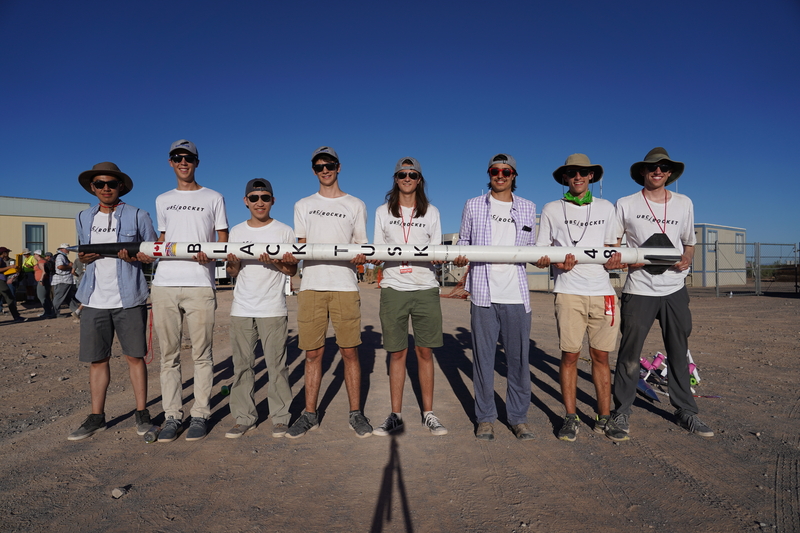 We are a student engineering design team at the University of British Columbia dedicated to the design, manufacture and launch of suborbital rockets. At Spaceport America Cup 2017, we won in the 10,000 feet Commercial Off the Shelf (COTS) category. In 2018 we went back to Spaceport America with three rockets, one of which competed in the 30,000 feet category! Our eventual goal is to send a rocket to the edge of space - about 300,000 feet up! If you are looking for a fast-paced team with ambitious goals and are willing to get your hands dirty, this is the team for you. Want to see more pictures, news and stories? Find us on Facebook, Instagram, Twitter, and LinkedIn. Check out some of the news coverage we've been getting on our News page! In the coming year, we will be designing, building, and launching a new rocket that will reach an apogee of 30,000ft at the 2019 Spaceport America Cup in New Mexico. We will be implementing the lessons we learned from our Black Tusk rocket which we launched during the 2018 competition. To learn more about what happened to our Black Tusk rocket watch our autopsy video on our YouTube channel. 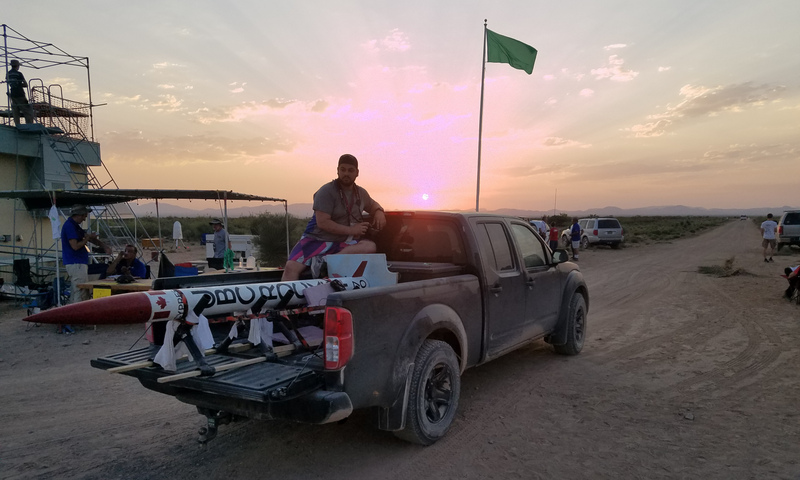 Our Black Tusk rocket at Spaceport America Cup 2018. Cypress being shipped to the launch pad. This project aims at launching smaller low powered rockets throughout the year to test flight-critical components, teach new members the fundamentals of rocketry, and increase UBC Rocket’s community involvement. The programme will commence in early September 2018 and its members will become proficient in all flight-critical aspects of rocket design. This team is ideal for students starting out in engineering who are looking to become intimately familiar with all of UBC Rocket's design, manufacturing and testing processes. We are on our way to the edge of space! UBC Rocket is currently in the process of designing and building a liquid-fuel rocket that will reach an altitude of 100km above sea level (the Karman line). This rocket is competing in the Base11 Space Challenge for a $1 million dollar prize! This is by far the most audacious project we are currently working on. Our next big milestone will be a hot fire test of our engine on a test stand that our team is in the process of building. Follow us on social media to keep up with our progress! The Whistler Blackcomb team is ideal for very committed members who are passionate about rocket propulsion and are able to commit a very significant amount of time to the team. 3D rendering of our liquid-fuel heat sink engine. Unfortunately, we are currently not recruiting new members. If you have any questions about joining the team contact us. The team will hold weekly meetings during the regular semester which all members are expected to regularly attend. Chances are that as deadlines approach, the pace and workload will naturally pick up. The 300k team will have commitment requirements above the weekly meeting, amounting to at least 15 hours weekly. Yes. The team is open to anyone, including non-engineers! All you need to bring is positivity and a willingness to contribute regularly. More information about the team can be found in our Knowledge Base. If you have more specific questions send us a message!